In the post “The Rapid Instructional Design Model”, I explained the importance of having an organized approach when designing instruction, and that’s why we have instructional design models to serve as frameworks to guide our steps. In this post, we are more in the “design or prototyping” stage of the rapid instructional design model. Here, I will share specific design strategies that are aligned to the instructional model of Robert Gagne and the 9 events of instruction. These 9 steps of instruction are a good way to organize the content and flow of the course. 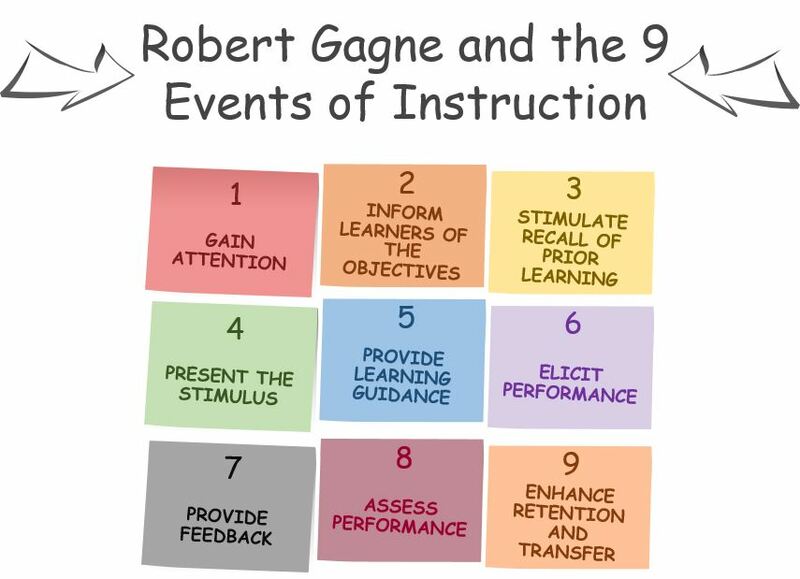 Robert Gagne was an educational psychologist who created a 9 step process called “Events of Instruction”. This model is a systematic process that helps educators and instructional designers develop strategies and create activities for training sessions. Each step supports the learning process. 1 Gain attention Convey information that gets the learner’s interest. This signals the beginning of a new learning event. Use various elements like multimedia, scenarios and problem statements to attract attention. 2 Inform learners of objectives Describe in detail what learners are expected to do and learn with the training and how they will be assessed. List the learning objectives at the beginning of the training. 3 Stimulate recall of prior learning Understand the current knowledge level of the target audience. This step bridges prior knowledge to upcoming. Drive learners to relate new ideas with what they already know. Explain how prior knowledge relates to new topic. Initiate discussion by asking students to discuss prior learning or personal experiences related to the training. 4 Present the content Convey information that elicits learning. Here goes the new topic or information. Use variety of elements to present content such as flowcharts, diagrams and multimedia. 5 Provide guidance Share tips that enable learners to apply the new material. The instructor provides guidelines, tools and strategies to support learning, but without giving the answers. Include job aids, cheat sheets, tip boxes, additional references and role plays. 6 Elicit performance Allow learners to practice the knowledge learned. This is the developmental or practice phase of the topics to be learned. The point is to allow students to practice new knowledge before they are assessed. Include scenario-based discussions, role plays and quizzes. 7 Provide feedback Let learners know how they performed during the training. Feedback is important when learning new information. Feedback can reinforce retention material. 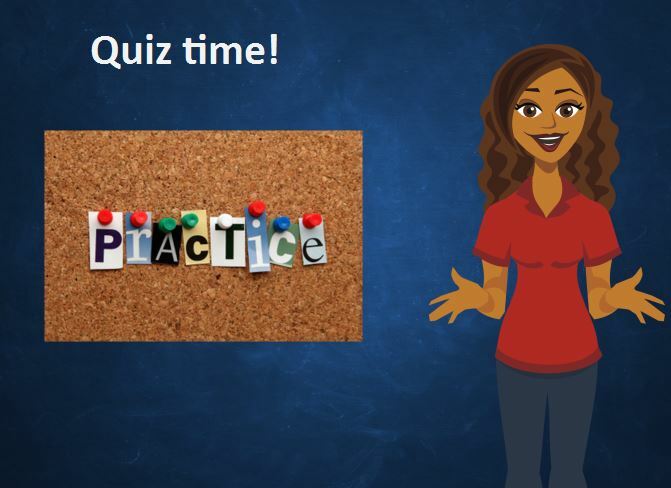 Practice online quizzes with immediate feedback. 8 Assess performance Review learner performance to confirm if training was effective. Summative assessments could come at the end of each learning module. Conduct surveys and post training discussions with supervisors. 9 Enhance retention and transfer Provide opportunities to allow learners to recall and apply what they learned during the training. This step helps the learners internalize the information. Use social media, newsletters and blogs. Debrief the class on what has been learned. Summarize the learning that has occurred and apply it to new situations. Document learning experience (journalling or blogging). Identify a new situation or application for the new knowledge. There are many ways to present and reorganize the training material to make it meaningful and relevant to learners. Here you can see some other ways to make your course content shine and engage your learners. Case studies, stories, problem solving: detailed explanation of a situation or problem that learners must analyze and offer recommendations or solutions. Demonstrations, behavior modeling: using a video or animations to demonstrate tasks and procedures. Graphics and illustrations: still or animated graphics, info-graphics, photos, charts and diagrams to reinforce content or illustrate a process. Interactions: integrate opportunities in the instruction that allow learners explore content, apply knowledge and check understanding through games, questions and activities. Sound: engages and motivates learners. Consider voice over, music and sound effects. Simulations: interactive environments that simulate real work experiences and conditions. For technical training or software demonstrations, I recommend using screen simulations, screen captures or screen recordings that can be easily developed with Camtasia. 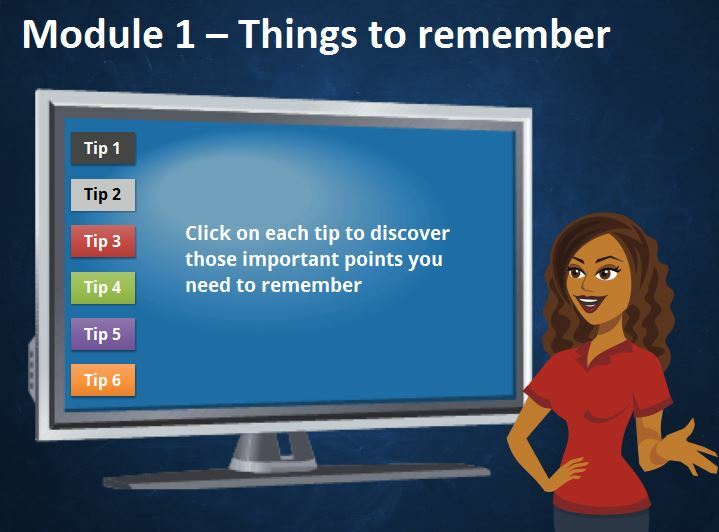 Here is an example of how to apply the 9 events of instruction in an eLearning module that I developed using Articulate Storyline. But before I explain the example I should provide a little bit of background about this project. 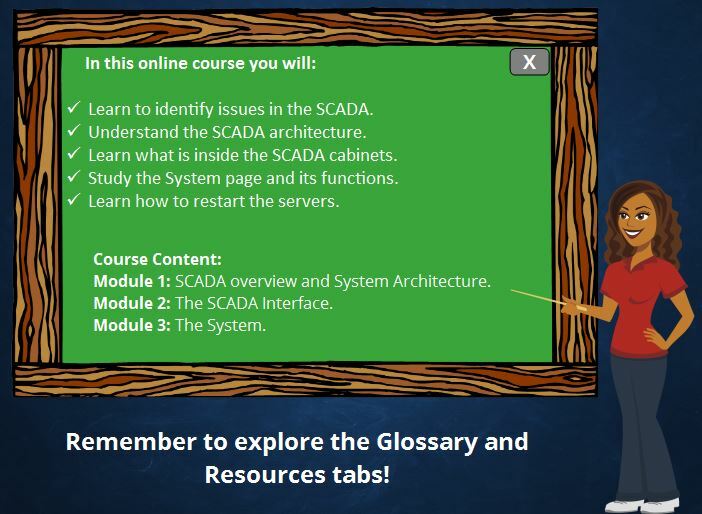 This module is about a SCADA system. 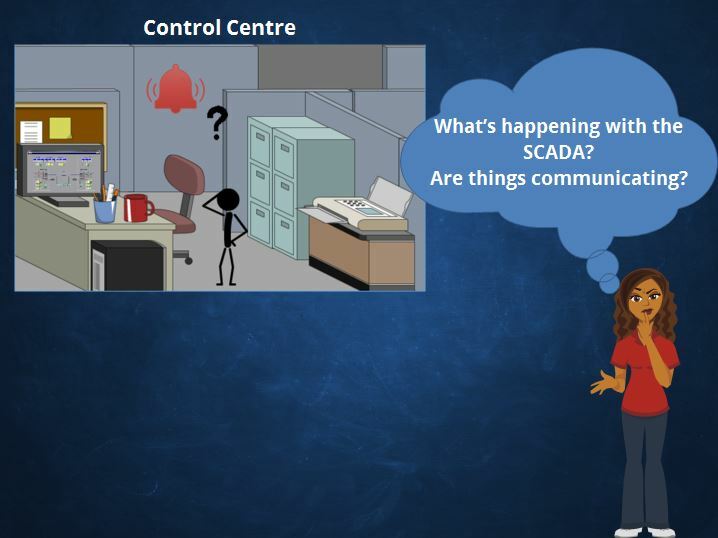 SCADA means Supervisory Control and Data Acquisition. This system basically has hardware to collect information and signals from any field and industry. 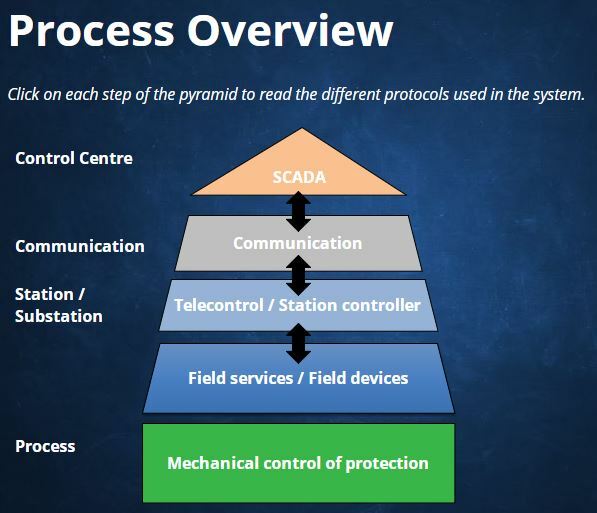 It also has a software component that is hosted in servers to process the signals and present them in a monitor to allow operators monitor and control remotely the equipment and processes in the field. So, with that brief introduction to this module, let’s check it out! Here I started grabbing learner’s attention by asking a question relevant to a common problem in the workplace that every time it occurs triggers all the alarms for the operators. 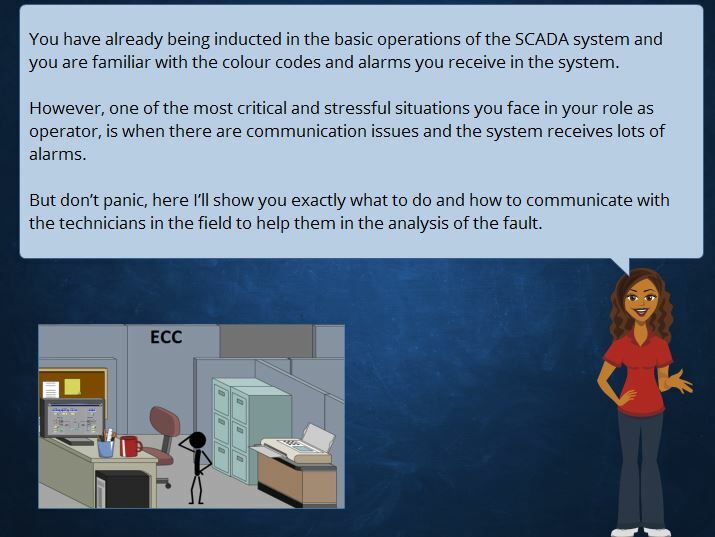 Due to the importance of this situation, the learner wants to know more and has an interest in the course. To connect prior knowledge with the new content, I have mentioned what they already know and how that is relevant to the new information. They know now they will be building on previous concepts (scaffolding). I have used different ways to present the content, such as drag-and-drop activities, diagrams and click-and-reveal interactions. I have implemented the multimedia learning strategies discussed in the post “Richard Mayer on Multimedia Learning” such as showing graphics with the components of the system (Systematicity), placing text near their corresponding graphics (Referencing), using a friendly human voice (Sociability) and narrations (Modality and Redundancy). I included tips with the main ideas learners will need to remember after doing the training. Additionally, learners have resources and a glossary section for specific terminology. All these elements serve as guidance to the learners. There are short quizzes after each main topic so learners can practice the ideas discussed on that particular section. This is a good way to reinforce learning before moving on to the next topic and adding new knowledge into our learners’ brain. Every question on the quizzes mentioned before, have instant feedback. Feedback is another great way to reinforce concepts. 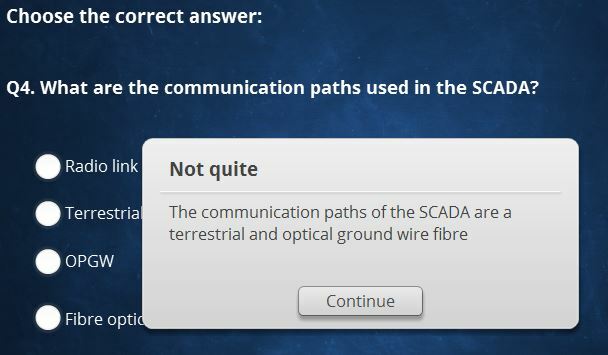 I have included a summative quiz at the end to check understanding of the entire course. The questions in this final quiz are a little bit more complex and are more scenario-based using problems and real situations that learners have in their workplace. At the end there is a summary section to go through the main concepts they have learned in the module. Additionally, this course has a face-to-face practical session with the operators to practice in a real simulator how to perform the skills learned in the course. They have these practical sessions after completing this online component. In this post, we have visited a very nice and organized approach to build training. The 9 events of instructions developed by Gagne are easy to follow and help you stay focused to keep your course tight and on target. Remember that you don’t want to lose learner’s attention, so it is important to keep the training straight on point. To do this, Gagne’s model ensures you apply different strategies to reinforce learning. Here you have also learned what specific learning strategies you can implement on each step of this model of instruction. These strategies can be applied in face-to-face, online or blended training. 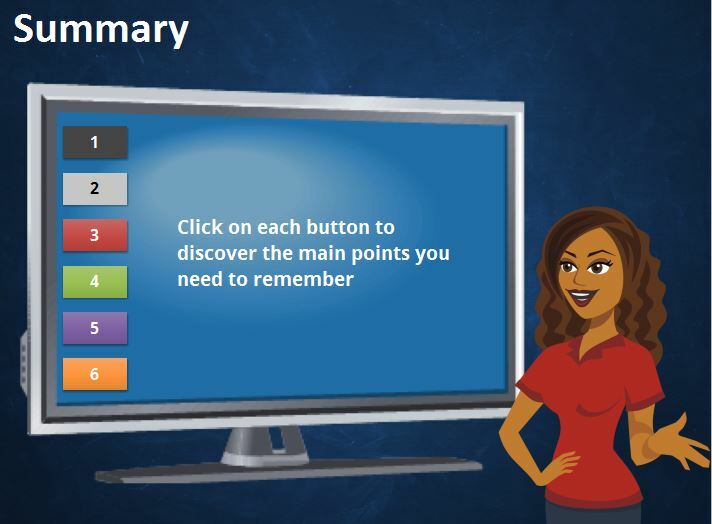 I have shared with you how I applied the 9 events of instructions for an eLearning module developed in Articulate Storyline. I hope this information can help you to develop rich learning experiences. Would you like to put in practice this model of instruction? How would you apply it? I like how you’ve presented this easy-to-follow structure. I particularly like the feedback process with quizzes. Sound and visual sure makes a difference. Thanks for sharing this article, it was really helpful. Thanks for commenting 🙂 like you mentioned, multimedia elements such as sounds and visual are highly engaging elements. Wow,very interesting and informative site of yours.Thank you for sharing. Thanks 😀 I try to provide as much information as possible. Thanks for your comment. very knowledgeable I feel a lot smarter from reading this this is great thanks!! Thanks so much for your comment. I’m glad you found it useful 🙂 that’s the idea, to learn something new. As an aspiring trainer of trainers, you have just given me a magic bullet to deliver. I just have to get a suitable acronym to remember these nine points. Wow that’s great that you want to train trainers! I’m glad you found this information useful 🙂 thanks for commenting and reading the steps. This is very informational. I can see how Gagne’s model could be effective online. You have explained it very well. Thanks for sharing this.